Winter has faded and spring is here! The flowers are blooming, the colors are becoming more vibrant, there are gentle breezes and clear views of the Blue Ridge Mountains. What are you waiting for? Spring is a gorgeous time of year to be here in Asheville and the surrounding Western North Carolina area. Have you planned your spring getaway? We have a lot of favorite things to do when vacationing here, but here are some of the highlights. 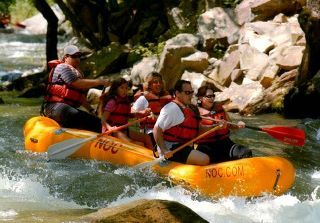 Asheville is continuously ranked a top destination for outdoor recreation and adventure in a variety of categories by Outside Magazine as well as other outdoor publications. It's easy to see why with so many fantastic outdoor experiences to be had, including everything from extreme sports to light adventure. There's something for everyone. Vacationers can find hiking trails, mountain biking, whitewater rafting, canoeing, fishing, zip-lining, hot air ballooning, horseback riding, and the list goes on and on. For a great overview of the outdoor adventures that can be found here and links to specific activities, click here. Whether you're in the mood for a scenic river drive, in search of some hot springs, seeking majestic mountain views, or looking to explore some quaint mountain towns, there are many scenic driving routes full of sights and adventures. Take a look at ExploreAsheville.com's Top 10 List of scenic drives. 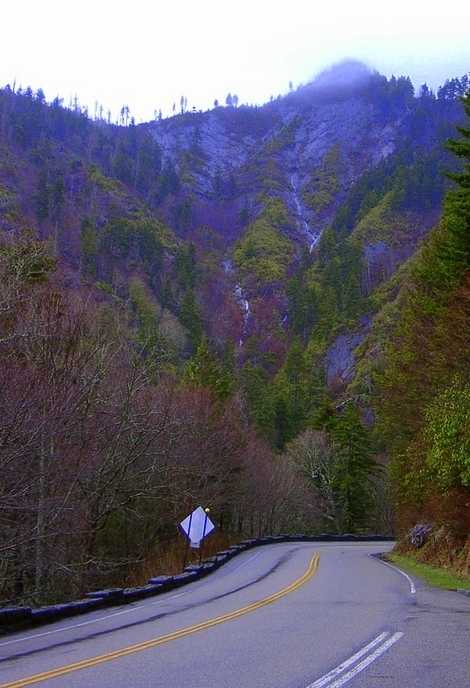 Also, the Blue Ridge Parkway is a great choice with over 469 miles of scenic roads and gorgeous overlooks and vistas. Stop for some hikes or to explore the National Park System. For the truly adventurous, try a meandering motorcycle ride from Western North Carolina into Tennessee. On any given day in Asheville and Western North Carolina, there are always plenty of opportunities to learn more about the local culture through its outdoor events, activities and festivals. Asheville is known for its eclectic arts, music and cultural scene and the diversity is seen throughout its many local venues. Check out the events calendar for the highlights of what to do when you're here. And of course, keep following us on this blog. We enjoy sharing what Asheville has to offer! We welcome new and returning visitors to this beautiful part of North Carolina. We hope we've got you thinking about your next vacation to Western North Carolina. We look forward to seeing you. Happy Spring! 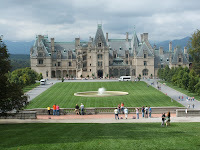 The grand and majestic Biltmore Estate is on the Asheville must-see list. It's a stunning combination of architecture, pristine scenic grounds, and fascinating history that draws guests into its gates year after year. Spring is right around the corner and Biltmore's gardens are celebrating its arrival with burgeoning blossoms of color. The gardens were designed by landscape architect Frederick Law Olmsted and showcase his vision in the lush landscapes that surround the estate to this very day. Biltmore Blooms is a special event that kicks off the spring season beginning March 21 through May 31. This event showcases the artistry and natural beauty of tulips, azaleas, and numerous other flowers. This year offers guests a special treat reminiscent of the opportunity had by the guests of George and Edith Vanderbilt. For the first time, Biltmore guests can step down in to the Winter Garden for an intimate view of exotic orchids on display. Some of the plants in the display are the same species that were planned for the Biltmore Conservancy in 1894. The outdoor landscaping displays a beautiful progression of blooms from tulips to pansies, azaleas and many more. You can visit the Annual Bloom Calendar for what you can see during all the seasons of the year at the Biltmore. In addition to the festival of flowers, Biltmore Blooms hosts an array of other activities. Below are the locations, dates, times and events. 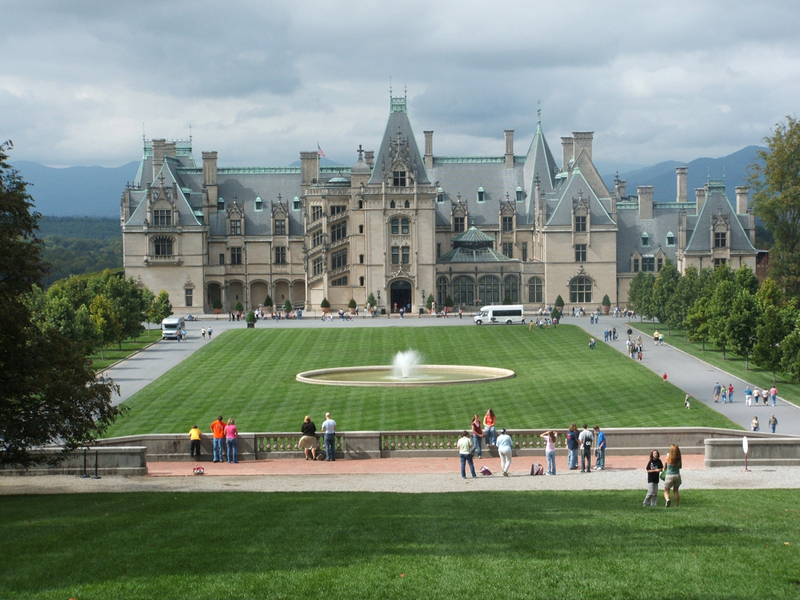 Biltmore Estate admission prices include a self-guided visit of the Biltmore House, access to the gardens and Antler Hill Village, The Vanderbilts at Home and Abroad exhibition, free wine tasting and guided tour at the winery, opportunities to dine and shop, and free parking. Tickets purchased online at least 7 days in advance qualify for a $10 discount, so plan ahead! 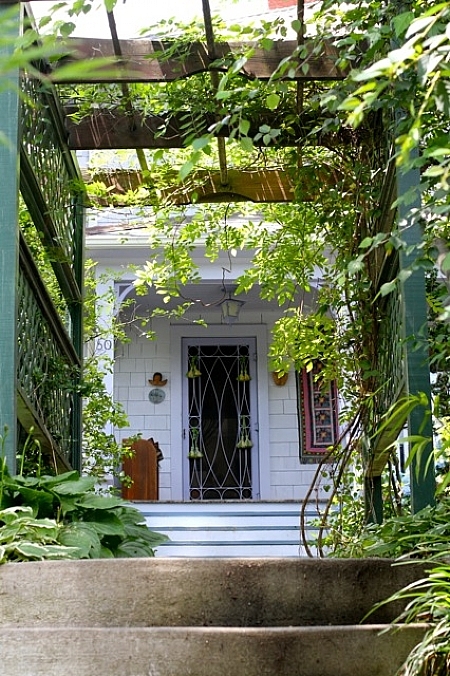 There are great opportunities to stay locally in an Asheville vacation rental. Enjoy a home-away-from-home during your vacation while enjoying all of the benefits of being close and convenient to Asheville's favorite places of interest. Take some time to create some personal favorites of your very own. Share your favorite Asheville places with us in our comment section. We'd love to hear about them. We hope to see you soon! Who doesn't love having a good book in hand, sipping a cup of coffee, and nibbling on a bit of fresh pastry? 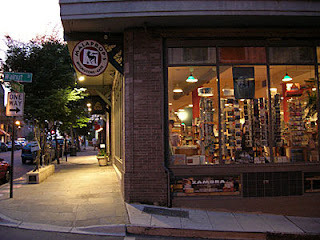 If you love a good book scene, then you must make a visit to Malaprop's Bookstore & Cafe on Haywood Street in Asheville. The meaning behind Malaprop's name and the bookstore's history are interesting reads in themselves. Locally voted as "Best Bookstore in WNC" year after year and winner of the Publisher's Weekly Bookseller of the year award, Malaprop's is the region's largest locally-owned independent bookstore. With a full schedule of visiting authors, readings and book signings, you'll quickly see why it has received so many accolades both locally and nationally. On Thursday, March 7 at 7p.m., Dana Sachs reads and signs copies of The Secret of Nightingale Palace. This poignant story features the saga of an estranged grandmother and granddaughter and the secret that ties them together. The narrative alternates between early 1940s San Francisco and the present day. The story highlights the power of love and family. Award-winning author Terry Tempest Williams presents her book When Women Were Birds: Fifty-Four Variations on Voice on Friday, March 8 at 7p.m. Her book recounts memories of her mother, ponders her own faith, and contemplates the notion of absence and presence in art and in our world. Tickets for the event are $18 and include a paperback copy of the book. On Saturday, March 9 at 1p.m., Mohsin Hamid's How to Get Filthy Rich in Rising Asia is the much anticipated novel of 2013 by Vogue, The Daily Beast, The Nation, and The Guardian. It is the riveting tale of a man's journey from an impoverished rural boy to corporate tycoon. Tickets for the event are $10 and include a $5 coupon toward the purchase of Hamid's book. On Saturday, March 9 at 7p.m., Denise Kiernan's The Girls of Atomic City is an artful blend of history and science as a book based on the interviews with dozens of the surviving women and other residents of Oak Ridge, TN, a town created from scratch in 1942 as one of the Manhattan Project's secret cities. This untold story of the women who helped win World War II tells the tales of unsung women whose wartime work had consequences that continue to reverberate today. A book signing follows this event. We hope you make a visit to Malaprop's during your stay here in Asheville. March is a great time to reserve a vacation rental in downtown Asheville where you can be close and convenient to all you want to see and do in our town. Plan a spring break getaway here in Western North Carolina and have time to experience our shops, restaurants, coffee shops, museums, shows, events and more while you're here.